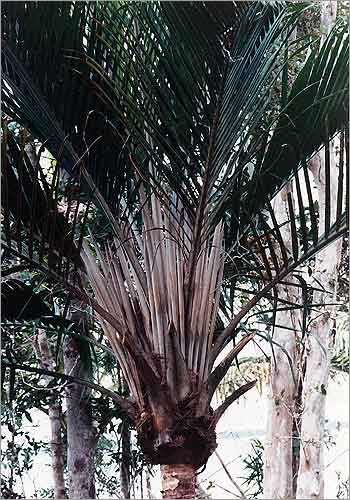 Even though it is never very common, this beautiful palm is widespread in Madagascar in a large variety of different habitats, from coastal forest at sea level to dry montane forests at altitudes of up to 2000m (6500ft). 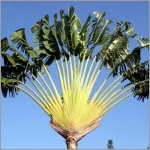 It is also very variable in size, according to its habitat, a small, even shrubby palm on poor soils to a large, stately tree of over 30m (100ft) high. 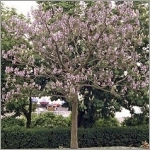 Its produces a fairly slender trunk, topped by a full crown of ascending, V-shaped leaves, distinctly arching at the tip.